10 of the best OK Computer cover versions to test your system | What Hi-Fi? To celebrate the 20th anniversary edition of Radiohead's OK Computer, we take a look at this seminal record's genre-spanning influence. Nine people sit in a low-lit room. A Radiohead fans' support group. "I'm Paul, and I preferred Radiohead's early work." Applause. "I think Kid A is a bit weird." More applause. "Personally, between you and me, I thought OK Computer was a bit overrated." Yes, this is a BBC Comedy sketch, but how dare anyone dislike OK Computer ? It's just about the one thing all Radiohead fans ought to be able to agree on. Nevertheless, fan or not, there is little argument to be made against its influence. To illustrate that, and on the release of the 20th anniversary edition, OK Computer OKNOTOK 1997-2017, we take a look at some of the best cover versions, all of which will do a decent job of stretching your music system. If you've not heard of Doveman, real name Thomas Bartlett, you're still likely to be aware of some of his work: he produced Sufjan Stevens's Carrie & Lowell and The Magnetic Fields' 50 Song Memoir, and features on tracks by David Byrne, The National, Antony & The Johnsons and Father John Misty. He covered Airbag, OK Computer's opening track, as part of a compilation put together by Stereogum to celebrate the album's 10th anniversary. In contrast to the decidedly more raucous original, Doveman creates a more restrained, pensive atmosphere, not dissimilar to some of his work with collaborator Sufjan Stevens. Jazz pianist Brad Mehldau's arrangment of Paranoid Android found its way on to his record Largo, and, while its freak-out section isn't quite as ear-splitting as the original, it holds its own in terms of tonal experimentation. More piano, but this time classical rather than jazz. American pianist Christopher O'Riley's work spans the Baroque period to reinventions of modern popular works. Concerning the latter, he's left his personal touch on compositions by Pink Floyd, Elliot Smith, Nirvana and, of course, Radiohead. O'Riley released collections of Radiohead covers in 2003 and 2005, with tracks from OK Computer on each, and we think Subterranean Homesick Alien, included on 2003's True Love Waits (Christopher O'Riley Plays Radiohead), works particularly well as a classical piece. Exit Music (For A Film) has been scientifically proven to be Radiohead's sixth most depressing song. With this version, another track from Stereogum's 10th anniversary ode to the record, you may then be surprised they got Vampire Weekend to cover it. But what this left-field marriage of artist and source material does allow for is a near total reinvention. There's no getting away from the tonality and lyrics that earn Exit Music its spot in the band's sombre top ten, but Vampire Weekend weave in typically angular rhythms for a version that almost makes you want to dance. But if Vampire Weekend manage to subvert Exit Music (For A Film)'s dark atmosphere, this version by Belgian women's choir Scala & Kolacny Brothers somehow makes it even more haunting. Arranged and accompanied by pianist Steven Kolacny, there's an eerie sense of space and a vulnerability to the vocal performance. If it's "for a film", then this cover version sounds perfect for a gothic horror. Featured on another Radiohead covers compilation, this one entitled Exit Music: Songs With Radio Heads, it's interesting to hear avante-garde jazz trio The Bad Plus covering what is arguably OK Computer's most radio-friendly pop track. Unsurprisingly, it isn't so radio-friendly by the time they've finished with it. It's three minutes longer than the original, accounted for largely by a meandering free-form interlude between the main body of the song and that closing hook. While a lot of these covers are in shouldn't-work-but-somehow-does territory, The Twilight Sad covering Climbing Up The Walls was never really in doubt. If you didn't already know the song from OK Computer, it could quite happily masquerade as one of the Scottish trio's own. The third and final track we've included from Stereogum's covers tribute, it sounds like the original but with grazed knees from having been dragged across the gravel. If your system fails to capture any emotion from this performance, you might need to have a rethink. We're fairly convinced that Climbing Up The Walls, alongside Exit Music (For A Film), is a song so good it's simply impossible for anyone to make it sound bad. Certainly, a producer of the calibre of Marcus Intalex wasn't going to let us down. The dance music pioneer, who sadly passed away earlier this year, included this version on his 2011 release 21. 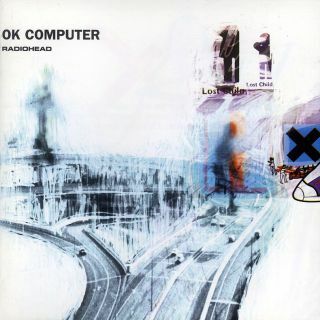 Given Radiohead's subsequent embrace of electronic music, this version almost acts as a sketch of how the track might have sounded were it written later in Radiohead's career. There's little to say about Regina Spektor's cover of No Surprises, other than it was released in 2010 as a charity single, with proceeds going to the Doctors Without Borders Emergency Relief Fund, and it's mesmerisingly beautiful. If the mere mention of Radiohead brings to mind an image of sobbing orphans in the bleak midwinter, allow Easy Star All-Stars to alter your perception. Probably our favourite of the group's dub-inspired covers records, Radiodread is a track-by-track reinvention of OK Computer, featuring veritable roots legends from Horace Andy to Toots & The Maytals. If Radiohead are releasing bonus material on OKNOTOK, then why on earth shouldn't we? There are a bunch of these slowed down versions of the band's tunes on YouTube - Pyramid Song and How To Disappear Completely are equally beautiful - and even Justin Bieber is full of ambient delights when heard at this speed.